Amazing stay. Kamal and Ali were so kind and they treated me like family. Everything was perfect! Great hostel and everything was great! Nice People work there, and this impacted a lot to the atmosphere of the whole staying. I feel a lot relaxed and very comfortable there. Thank you kindly!! it was my first experience staying at a hostel and the hostel staff did everything to make it memorable experience. The hostel is in perfect location with all the tourist attractions a stones throw away. The rooms and bathrooms were clean and as described. The morning breakfast was also good and vegetarian/vegan/jain friendly. Abdul who works at the front desk is very friendly and went above and beyond to show me around and make me feel at home. I highly recommend Avrasya to all travellers. 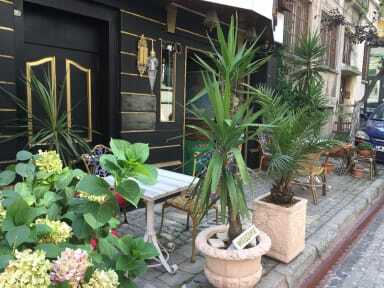 Best place to stay while you visit istanbul. The staff at Avrasya Hostel are some of the nicest people I've ever met! They kept emphasizing that the hostel is like our second home, and they really went the extra mile to make it feel that way. They made an effort to get to know us and you could tell they really cared about all of their guests. They even brought tea and lemon up to my room when they heard I was coughing! The location is amazing, right by all of the hot spots, and the view from the terrace is incredible. Breakfast was yummy! I had such a positive experience! The staff went above and beyond! They were all so friendly and willing to help someone brand new to the city, as well as recommend things to do and help me get a shuttle back to the airport. I stayed in the 6- person room, everything was great. Breakfast every morning was a plus too. Also, I couldn’t have asked for a better location. Overall, I would recommend to anyone! Staff are extememly friendly and helpful. Cleanliness is great, and the location is ideal for exploring the main attractions this side of the river.